The fizziness of coke is felt the moment you draw vapor into your mouth. Combined with the exquisite tanginess of lime juice, it awakens your taste buds with a uniquely refreshing taste. When you pull it down, you get an extremely fulfilling sensation in your throat that's so good, we just can't put it into words. 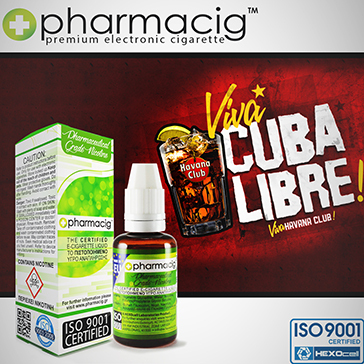 100% in taste and performance, everything about Cuba Libre is thought out and tested for your pleasure. Don't miss out on this tantalizing tropical taste!